Elon Musk teases some new Tesla tech, Jay-Z wants to change the world (with a music streaming service), and benchmarks lay the rumored Z4 bare. Welcome to Bitstream, all the news tidbits and rumors you missed in the last 24 hours. 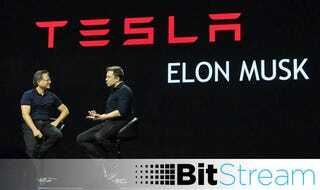 The current front-running rumor is that Tesla will show off a battery that powers homes and businesses. We're going to say that is most likely the case, but what if it isn't? Maybe Tesla is going to get into the wearable game (since every other company on the planet is) or maybe we might see Musk: Cologne for Men. Who knows, but one thing is for sure—we'll have a much better idea come Thursday, April 30. Adobe Comp CC lets artists, illustrators, and designers create on the go with tools for quick composition and easy export to any creative cloud application. Pretty cool but almost useless unless you're indoctrinated into the cult of Adobe. Jay-Z marched a parade of famous people onto a stage to announce Tidal, and its new lo-fi (in comparison) streaming tier for $10.